Recover – Recover features a synergistic blend of oils naturally containing some of the most potent compounds aromatherapy has to promote regeneration and to combat inflammation to help you get feeling better, faster! Recover addresses blood circulation, stiff or sore muscles, aches and pains, inflammation, irritation or over exertion often accompanied by or due to injuries. Recover has a cooling feel on the skin with a calming aroma to also ease anxiety and encourage peace and calm. Recover makes a perfect addition to any first aid or emergency kit and is a great companion for anyone participating in physical, difficult or strenuous activities, sports, exercise, hobbies or work.Recover can be massaged, used as a compress, added to ointments, rubs, massage oils, baths, saunas, and diffused aromatically as well. 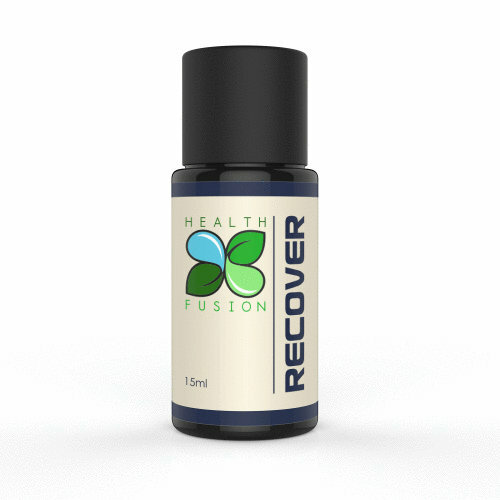 Recover is 100% Neat (free of carriers) and contains: Birch, Peppermint, Blue Tansy, Helichysym gynocephalium, Chamomile German, Spruce, Ginger and Yarrow oils.